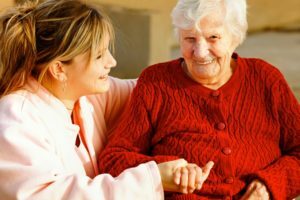 Delicate Healthcare Agency is a unique company specializing in providing comprehensive in-home services which assist those in need of care to lead dignified and independent lifestyles. We are committed to providing quality, ethical and professional services. Our employees are trained and carefully screened with criminal background checks. We have third party liability insurance, we are bonded and are covered by the Worker’s Compensation Board. At Delicate Healthcare Agency we provide unsurpassed high-level quality affordable healthcare and compassion to seniors with various home health care needs. Our experienced dedicated leaders are the reason DHA paramount’s all other agencies. With a combination of over 40 years of health care and home care experience; from a Licensed Practical Nurse, a Registered Nurse, to Medical Practitioner Delicate Healthcare Agency understands all aspects of providing premium homecare services. We are committed to achieve top level results and client satisfaction. Our nurses, therapists, home health aides, and technicians are experienced, credentialed professionals. We work as a team using Physicians Orders and sound techniques as a basis for a Plan of Care, thus enhancing recovery in the private and comfortable environment of the patient’s home. We also participate in providing educational awareness to patients and their family towards achieving their medical goal, and with faith the house is warm and cheerful enough for everyone to find comfort and rest within.